Dorne is a dry place, with red sands and little water. The climate is locked off from the rest of Westeros by a range of rugged mountains and forbidding hills. Given Westeros’ checkered history, those hills are laced with forts. There’s no love love between Dorne and the rest of the seven kingdoms. By sea it’s the same story. Any ships would have to sail up the narrow sea, past Storm’s End, before getting anywhere near King’s Landing. Sunspear is pretty remote from the rest of Westeros. But Dorne is not so isolated really. One thing I noticed when creating these maps is just how close Dorne is to the Free cities. It’s a short hop by ship through the Stepstones to Lys, Tyrosh, and the Disputed Lands. Dorne is likely much more connected to Essos than the rest of the seven kingdoms. 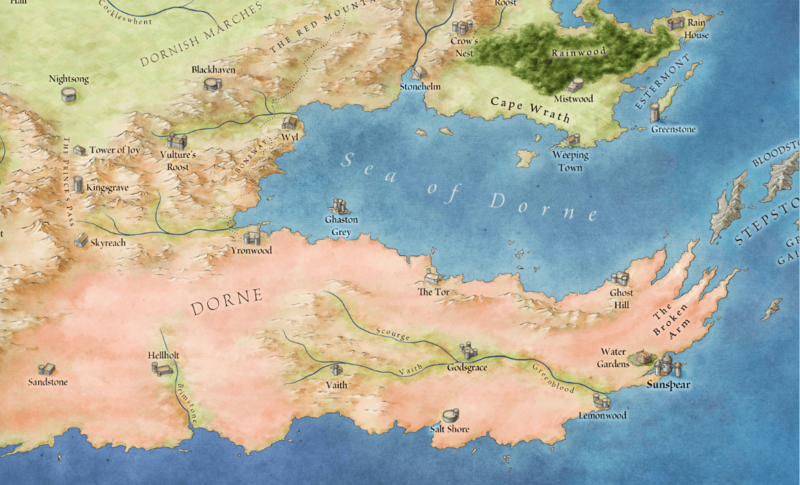 Here’s a close up of Dorne to show the relevant locations – as we learn more of Dorne, and spend more time in her machinations. One thing’s for sure – if Jaime gets in trouble in Dorne, it’s a long way to go to get help. 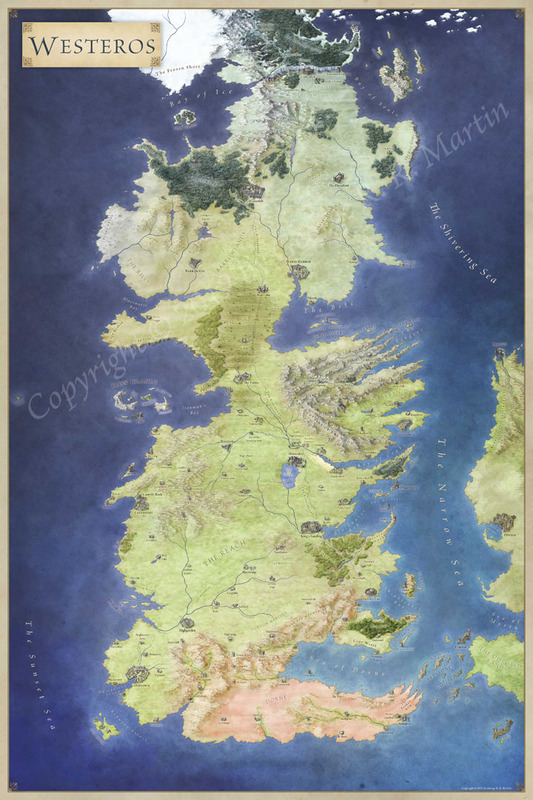 This comes from the Lands of Ice and Fire, the official maps of Westeros and Essos.